Instagram, one of the most successful social media platforms, continues to attract more users – as well as more interest from businesses, marketers and public relations. Instagram is owned by Facebook. New Facebook research indicates that Instagram users are eager to hear from brands. Two-thirds of those surveyed say Instagram enables interaction with brands. “We learned that Instagrammers’ relationship with the platform is growing stronger, and that brands play a big role in that community,” Facebook states in a marketing promotion report How to Connect with New Audiences on Instagram..
57% say they use Instagram more than they did a year ago, and 44% say they will use it even more in the coming year. Instagram Stories, direct messaging, and the launch of new products like IGTV account for the increase. Despite the perception that Instagram is the realm for teen-agers and people in their 20s, users across many generations use the platform multiple times per day, including 67% of those 18 to 24 and 31% of those 55 and older. “If you’re looking to reach younger audiences, definitely there’s value there, but older users are still fairly active,” writes Andrew Hutchinson at Social Media Today. Nearly half of the Instagrammers surveyed don’t watch TV on a weekly basis, but 64% say they are open to seeing brands that generally advertise on TV communicate on Instagram. Marketers on Instagram can reach audiences across many generations, as well as specialized niche audiences and hard-to-reach groups like non-TV viewers. Learn more about how to reach relevant groups with the platform’s Audience Insights tool. Television advertisers can reinforce their messages and extend their reach with Instagram. But simply transferring TV ads to Instagram is a mistake. Instagrammers prefer content that is short, relevant and designed for mobile devices. Create content that’s mobile friendly. Make sure your content is interesting and actionable, relatable and customized for the platform. Users prefer short content: 36% prefer videos less than 15 seconds. 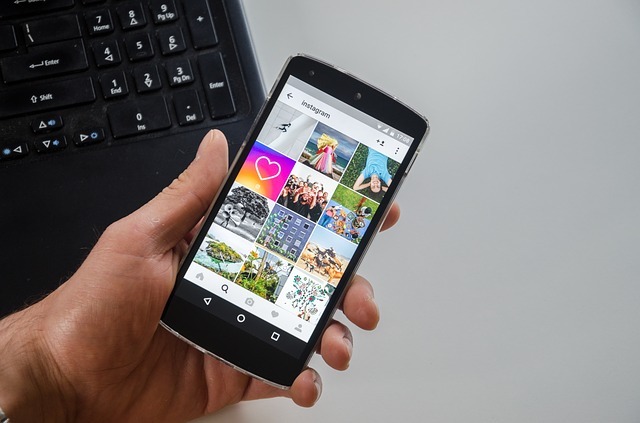 Despite Instagram’s increasing popularity, connecting with audiences and gaining followers can be more challenging on Instagram than other networks, Hutchinson notes. Social media users may now be more cautious because they have learned from past experiences. In the early days of Twitter and Facebook, almost everyone seemed to follow almost everyone else in a pursuit of perceived popularity. They found their feeds overwhelmed by irrelevant, meaningless updates from strangers. Now, they don’t follow others so quickly on Instagram. They’re more selective That makes gaining their attention more challenging. Yet, if they do follow a brand, they’re more likely to later become customers. Bottom Line: Facebook’s new research on Instagram users offers some interesting insights and recommendations. As popularity of the mobile app expands into older age brackets, brands may find greater marketing opportunities.